A while back the Daily Prompt on WordPress asked me if there was something in my collection that I would like to read again. At the time I didn’t respond to the prompt. Sometimes I find it hard to make choices. That was one of those times. Then last week I recalled a book that left a lasting impact on me. 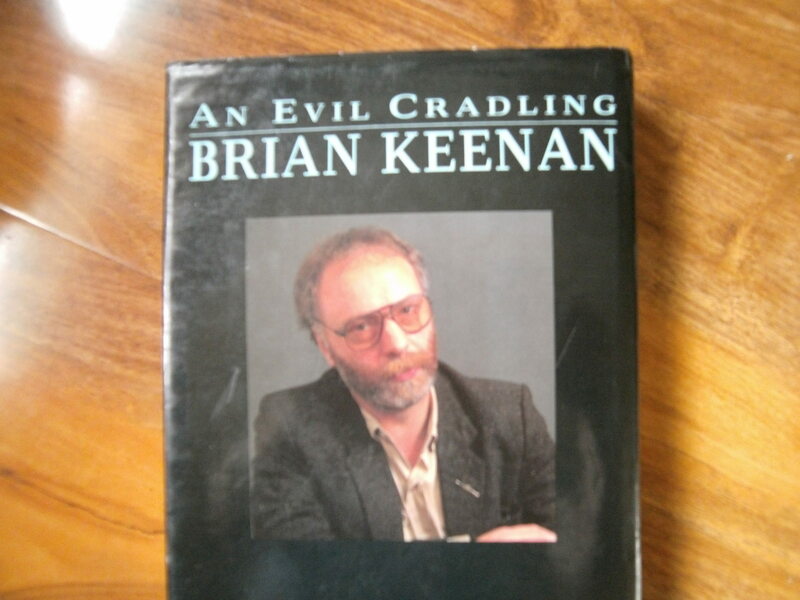 Whenever I hear about kidnappings and hostages I think of a man called Brian Keenan. A Belfast man who went to Beirut for a change of scenery, in 1985. Bad decision. He was kidnapped and held hostage for four and a half years! That’s a long time. Most of that time in darkened solitary confinement, or what the prison movies call The hole. It’s not a book about politics. It is a testimony to willpower. In the book, the reader is not only in the cell, the reader is allowed inside his head. 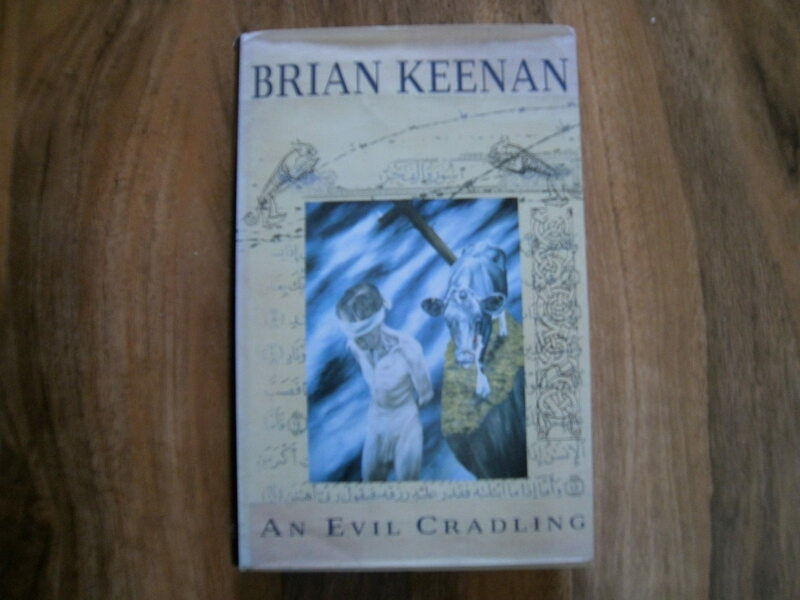 My brief review doesn’t do justice to this book, but in this age with the ‘Power of positive thoughts’ being all the rage, Brian Keenan’s book ‘An evil cradling’ blows everything else away when it comes to coping with circumstances. He has walked the walk, albeit within the confines of a tiny cell. Getting back to today’s Daily Prompt. It asks..If I was given a robot, which task would I use it for? I sometimes feel pity for the executioners. Not the type who would video record an execution for the torment of a victim’s family! But the traditional executioner down through history. A judge and jury call the shots but the buck always stops with him. I try to imagine what it must be like for him, when he is alone at night with his thoughts. He can’t explain his actions away with terms like ‘self defence’. It is an unnecessary kill. I feel sorry for him sometimes. In Ireland last week the abortion debate has started again. I have never been in that situation so I am not qualified to judge. But there is one issue which really upsets me. Suicide risk of the pregnant female is often given as being reasonable grounds for granting an abortion. My question is this… What about the doctor? What if, after a few abortions, he breaks down? What if he becomes suicidal? It’s very easy to be judge and jury. Being executioner is a different kettle of fish altogether. Any of my regular readers (Hi Mom) will know that I have a strong dislike for leaders who command whole armies from the comfort of an office. No blood on his / her hands! I suppose what I am trying to say is that perhaps it is good to put ourselves in the shoes of those holding the syringe or whatever instrument they use. I feel sorry for those people, sometimes. They aren’t robots. Today is known as Ash Wednesday in the Catholic religion. I’m sure you have heard something of it. I won’t go into the whole meaning, for two reasons: Firstly I don’t know the whole meaning, and Secondly I didn’t get my ashes today. I was “too busy.” So it would be a bit rich if I were to start a full scale lecture on it. It is the norm in our faith to attend confessions at regular intervals throughout the year. It’s particularly common to have your confession heard in the lead up to an important Holy day, for instance, Ash Wednesday, or Easter Sunday, or Christmas day. You get the gist. The idea is that it wipes the slate clean before you recieve an important Sacrament. It have to admit, in most cases my conscience felt a lot lighter after a visit. It’s a strange one. But the truth, and I’ll have to whisper in case the kids hear, is that I haven’t been to confession in about three years. Just plain old laziness. I’ll burn in Hell yet. Speaking of whispers, there is one occasion which stands out in my memory. I was visiting the relations on my father’s side. He is originally from County Mayo. The county famous for the Apparition at Knock, a small village, in 1879. Our Lady, Saint Joseph, Saint John appeared along with an Altar on top of which stood the Lamb, and there was a large Crucifix behind the Altar. None of them made a sound but the apparition lasted an hour or two. Fifteen people of all ages witnessed it. You can find out more on the WWW-dot if you’re interested. Whether or not their surroundings had any influence, my father’s family were, and still are, devout Catholics. Everything was done by the book. So on the visit in question I tagged along to the local Church for confessions. When in Rome..
“..and maybe we’ll do the stations of the cross while we’re there,” announced my wife. Oh she is good! When we arrived there wasn’t much of a queue, thanks be to God. And it seemed like no time at all until I had shuffled along the seat to be in the next up position. I felt nervous. Not because I had murdered anyone. But because I knew that my devout relations would hear every sin I told, thanks to Father Echo, behind the curtain. Each faux pas that the sinner was mumbling, was being repeated at full volume by the priest, who sounded old and deaf. But his vocal chords were in mint condition. “I TRUST YOU WILL FIND HER AND APOLOGISE! FOR YOUR PENANCE SAY ONE OUR FATHER, ONE HAIL….” he went on to absolve the poor lad of his sins. I was next. I hadn’t counted on this scenario. So I played it cool. “HOW LONG IS A WHILE?” he interrupted. Damn! By now the whole of County Mayo has heard my business thanks to Father Megaphone! All my wife’s good work, down the drain. I had to think quick. I couldn’t list all the real sins I had committed. I would be excommunicated, and worse, embarrassed. And he left it at that. So now the folks outside think I am the Devil incarnate. Oh my God, tell me this isn’t happening. But it was, it was happening. He started shouting absolution prayers at the top of his lungs. I had lost the will to kneel. I slunk back into a corner of the cubicle. “Yeah, yeah, whatever,” I mumbled. There it was, the final nail! My reputation was in tatters. That’s pretty much all I remember. The rest of the day was a blur. Those words were uttered by an athiest onboard a sailing ship in 1748. The ship was being ripped to shreds by a north Atlantic storm. There was a hole in the hull and she was taking on water. After hours of bailing out water he cried “Lord have mercy on us.” The words surprised even him. On the 8th of April 1748 the wind blew the ship to Ireland, to my town, to safety. The man was a slave trader. He later went on to change his ways and write the song Amazing Grace. You can research the rest of his story if you are intersted. The part I find amazing is that song sounds best when it is sung, not by white people, but by those whose ancestors were once the enslaved. Such forgiveness! Such inspiration! 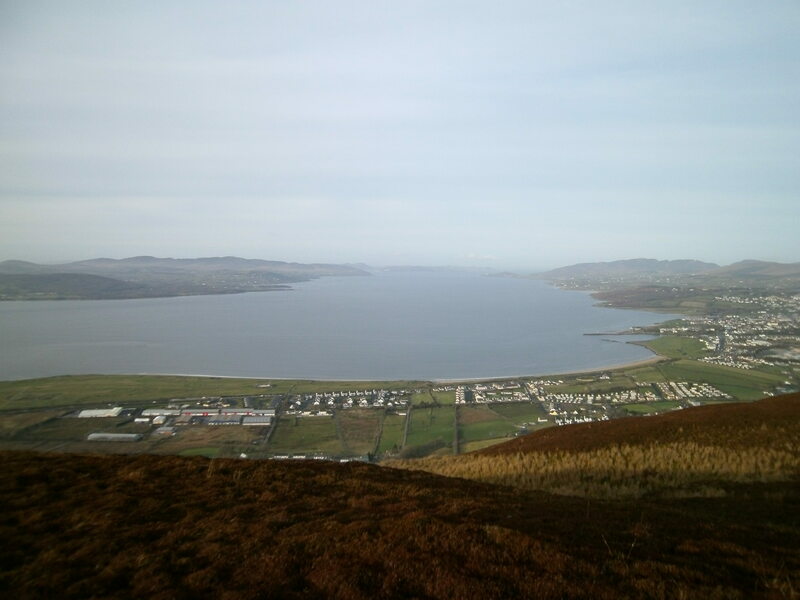 I live in a town called Buncrana. I run on the beach were he would have kissed the ground. I can sometimes feel what he felt, Grace. And sometimes I just feel exhausted.